Fishing the big windy, Lake Winnipeg by Balsam Bay, proved to be a great spot for all of us fishing. 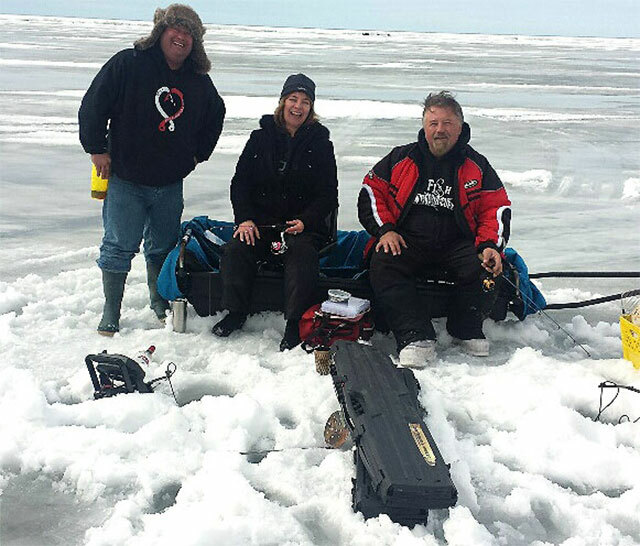 Anglers from FM/WAAM (Fargo Moorhead / Walleye Anglers Association of Manitoba) enjoyed this fine fishing day to conclude a fun, festive-filled weekend. On Sunday, we were close to the first pressure ridge, approximately one mile on the lake. Pressure ridges can stand from one to seven feet tall as the ice shifts, cracks and separates due to wind, current changes and extreme cold and warm temperatures. Rest assured the ice under our feet was still four to five feet deep and most augers are fitted with an extension to drill through to the free flowing water beneath. However, this past week was exceptionally warm, and today we could feel the ice crack frequently and stood at times in puddles of water a foot deep. 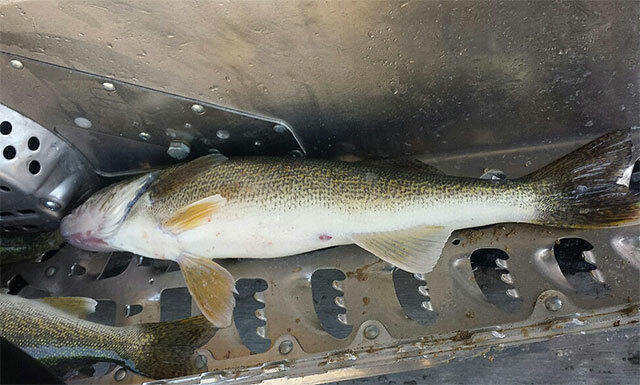 Our group's fish included some nice walleye 14 to 28 inches. 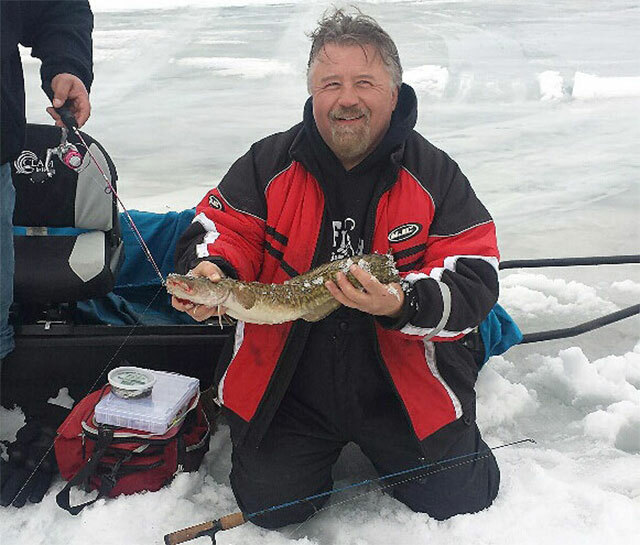 A burbot also was part of our day's catch but was quickly released back into the water. Lures used were jigs and minnows, Rapala Rattlin Raps for a changeup. Getting off the ice was a little interesting with the soft, slushy snow and water runoff into the lake. 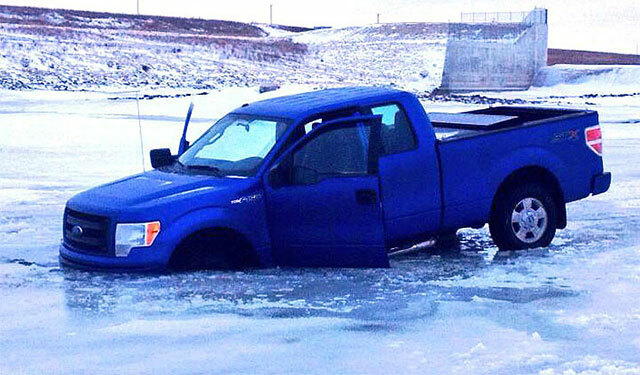 Not an easy maneuver with all the melting snow. 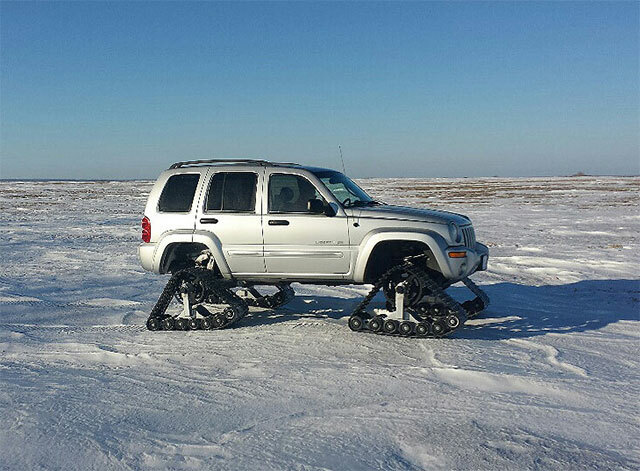 Snowmobiles, trax and quads were the recommended choice of transportation. It was a great weekend to be with some super people, all enjoying a great wintertime sport.